Are you implying we should all make babies and make them play Awesomenauts? At least thats the developers solution. Actually what? 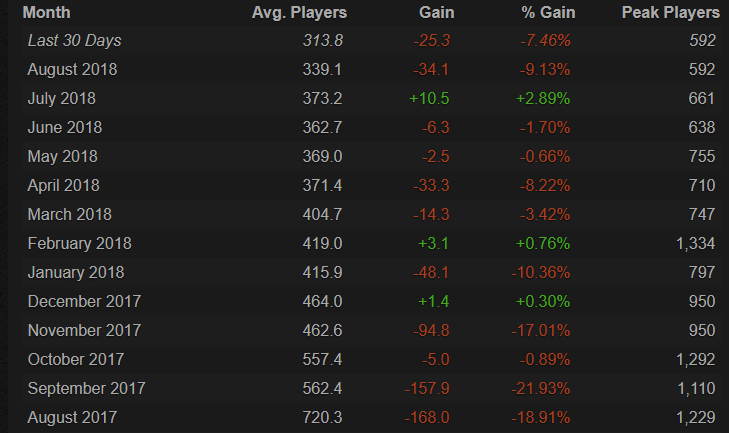 If you don't have a large playerbase, that is precisely the scenario where you do whatever you can to make sure the existing playerbase doesn't leave the game. Catering to new players is obviously of tremendous importance, but you don't simply ignore old fans, unless your game and/or company are so big and popular that is just doesn't matter. See: Riot Games and League of Legends, Nintendo and Smash Bros, etc. Out of curiosity, how does this directly contribute to Ronimo getting money? Some veteran who plays his 2-3 fav nauts and has all the skins for them he ever wants, does not pay the salaries and living of the developers. The developers need masses of players to be able to exist. Sure in theory, vets make a playerbase which is like a fertile soil for new players to come, but Dunnoh, I feel that in Awesomenauts and many other smaller games as well, the vets are the pubstompers that keep new players ever getting into the game and forcing the soft skinned ones to quit before they get to like the game enough to invest money in it. Simply put, those veteran players are content for other, newer players. While they are not themselves paying money, if long-time players left there would be nobody for the new people to play with, matches would take twice as long to start, and people's overall impressions of the game would be drastically worse. Any online game is going to have that massive wall of difficulty where the pubstomps happen. The difference is that most veteran players are a lot more likely to be nice about it, at least in theory. If you're only going to play for a month it's in your best interest to be as much of a * as you feel like being; if you're going to be around for five years and develop a reputation it's better for you to make sure it's at least a decent one. p.s. game ded? Came back to look around.